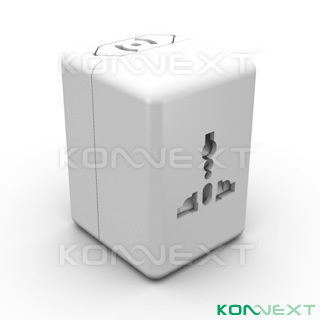 The new Konnext™ OneKube™ PA Universal Travel Adapter brings your travel experience to a new standard. From the years of experience in research & development, sales & marketing in offering and developing travel power solutions. The new Konnext™ OneKube™ keeps you powered up in over 150 countries and protects your electronics from harmful surges, spikes. Our unique compact design gives business people and travelers a portable yet powerful travel adapter and sure protection solution.